The majority of funding is targeted for large-scale project proposals requesting investments over €250,000. Additional funding is targeted to “Incubator Ideas” – proposals requesting funding under €250,000. Incubator ideas may start small but have the potential to scale to major transformational projects. The TIC Project Dashboard will provide information on proposals reviewed by the Secretariat and Selection Committee – including a breakdown of projects by focus areas, category (incubator or large-scale), and total number of accepted projects. Once available, information on approved projects and completed projects, including project status and outcomes, will be shared. * Information will be updated on a periodic basis, following Selection Committee and ExCom meetings (held seven times per calendar year). See the section Projects on the Go (below) for a list of projects that have been accepted for TIC funding. Concept Notes, Business Cases, and videos for submitted projects are available on our SharePoint site or our TUKUL site (for MSFers only). Global shortage in surgical workforce, as well as increased specialization of surgeons in high and middle income countries, has led to MSF surgeons not being familiar with many interventions they must perform in the field. The Intersectional Surgical Training Centre (ISTC) will work to reduce this gap and improve safety of surgical care through a specialized, eight-week on-site training program. The Global Health and Humanitarian Medicine (GHHM) course will address the gap in global access to training and improve the quality of patient care through the development of an online, low cost, part time version of the existing course. Mentoring and Coaching Hub will address issues with high staff turnover, and the increasing demands on staff and staff management in MSF by extending the existing Mentoring and Coaching Program and create an online repository of training/development/learning programs, capitalizing on MSF experience from all OCs/PS. TEMBO will create personal learning and development environments with real time access to learning and development. This project will address the gap in qualified staff and experienced managers by transforming the way MSF’s staff work/learn/develop. LEAP will aim to develop senior staff knowledge, skills, retention and career paths by investing in MSF future leadership through higher education; targeting mid-level senior field staff (national and international). To improve clinical and “public health/organisational” competences for national and expat doctors and nurses across MSF, a Medical Academy will be established in partnership with universities and professional schools, offering continuing education, graduate and post-graduate accredited programs. The goal of the Global Induction Project is to take the basic principle that says all newly recruited staff should have access to an induction to perform their work in the best conditions and make that a reality across the organization. To construct a learning model (facility and out-of-facility) which speaks to both male and female youth about HIV to provide them with knowledge and sensitize them to HIV’s impact on their lives. Deploy and test “field medical simulation based learning solutions” that can be effectively used at field level by trained supervisors with the support of the mission’s HR & Medical Dept’s and Learning Unit. Apply statistical modeling, predictive algorithms and future-state simulation to MSF’s HR dad to develop an HR pipeline tool which produces metrics that can forecast field worker attrition and retention and aid in workforce planning. Define possible aspirational behaviours for MSF and establish a change agenda focusing on positive adjustments to working with patients, colleagues and partners based on organisational identity, operational and behavioural considerations. Through an examination of potentially new Genetically Modified Mosquito (GMM) tools that may address malaria-related mortality, this project will focus on building MSF’s GMM knowledge, ensure vulnerable populations are engaged, and examine and/or influence the ethical/IP/community implications. To address TB’s deadly impact, drug-resistant forms and lengthy, toxic, expensive treatments, the 3P project will transform R&D around TB using a collaborative approach to finance and coordinate R&D through pull funding (milestone prizes), collaborative pooling of IP, and push funding for R&D activities upfront. The Hospital Ship Feasibility Study will critically assess viability (needs, security, safety, access, financial, managerial, legal, ethical, etc.) to convert a cruise ship into a MSF hospital ship to address medical needs of populations in crisis zones. The Point-of-Care Ultrasound (POCUS) technology revolution exemplifies MSF’s principles of providing proper medical care in even the direst circumstances by using a medical device with simplified clinical algorithms which can be used at the bedside and taught to non-radiologists. The goal of STORM-C is to increase access to care and treatment for HCV patients in key LMICs through evidence for treatment, innovative models of care, scale-up and a ‘test and cure’ strategy that will have a major impact on transmission. This project aims to conduct a baseline study to determine how inclusive are MSF HQ and field policies, MSF trainings for field staff, and MSF project activities. This baseline will be used to create a short guideline on awareness and inclusion, and develop training modules on inclusion for HQ and missions. This project will build on existing research to produce a field-facing tool that deploys machine learning and statistical algorithms to analyze routinely collected water quality data in order to generate real-time water chlorination guidance that optimizes water safety at any field site. This project will investigate the feasibility of a system for simple, direct, and instantaneous access to online scientific journals and full-text articles for all health staff in MSF. This project will look at new potential strategies for accessing, acquiring, and licensing intellectual property to improve access to medicines, looking at the feasibility of strategies used successfully in the tech and other sectors, working closely with Access Campaign and other MSF stakeholders. This project will test a new, affordable wearable device to monitor vital signs for neonatal patients for pulse rate, respiratory rate, peripheral blood oxygen saturation, and temperature. Conventional methods for bacteriological culture are not adapted to low-resource facilities and provide results that are not easily interpreted by clinicians. To address this challenge this project will develop a small-scale, low-cost, transportable clinical bacteriology lab, enabling the diagnosis of sepsis, antibiotic resistance sensitivity and surveillance at the hospital level by trained, non-expert clinicians and lab technicians. The GeoMSF project will launch and leverage crosscutting geographic information to help operations and sectors gain an understanding of a situation and its spatial context, through scale up of existing tools, interconnected services, and ensuring GIS accessibility across MSF. The goal of the Digital Humanitarianism is to create a systematic framework that allows for more efficient data collection and treatment in emergencies, creates functional links with operational digital humanitarian organizations, and for the research to act as a catalyst for MSF decision makers on questions about digital technologies. REACH is a platform designed to support improved information management in emergencies and foster more efficient decision-support during disasters, with an objective to effectively and efficiently combine institutional data with crowd-sourced information (including social media, instant messaging, and relevant RSS feeds) in real-time, equipping MSF with virtual eyes on the ground. This project will test the feasibility and reliability of using fingerprint scanning to generate a unique encrypted biological identifier in an MSF clinical setting, assessing whether biometric IDs are a practical method of providing patient identification in the field. This project is working to create a common ICT infrastructure across all MSF field locations. Field Network Kits will be developed and delivered to MSF field staff to support their missions effectively. Design a mobile tool that will help correlate migratory trajectories with medical conditions and points of vulnerability for migrant populations to support operational decision-making and advocacy for MSF programs. This project aims to improve the quality of patient care, efficiency and productivity of Epicentre labs by implementing a software-based laboratory information management system to manage participant data, track sample, generate reports, and enable real-time access to results. This project will develop a Shared Service Center for transversal services which are used across organization. Single Data Entry will apply Supply Chain tools such as 2D barcoding or RFID tracking in a humanitarian context to develop a business case to improve MSF operational performance. In an effort to transform the way energy is generated in MSF field missions this project will investigate and scope options for running units on solar or hybrid power. This project will adapt an audit tool to measure and monitor MSF’s environmental footprint for field missions and MSF offices. To realize efficiency gains and cost savings this project will develop a professionalized, robust and context-relevant procurement strategy for MSF Partner Sections based on the proven methodologies used in MSF Operational Centres. The goal of this project is to create an enabling environment where field problems and ideas can be harnessed into solutions, based on shared principles of innovation. This project will facilitate the sharing of ideas, needs, insights, tools, etc. In an effort to strengthen and expand MSF Associations, this project will focus on cities as a platform of hubs and explore how groups and communities, within and out of MSF, are mobilized around a shared major issue and find practical solutions to problems raised. The goal of this project is to complete a holistic scoping exercise to analyze where MSF is now in terms of innovation partnerships and what the issues are. Using this data clearer movement-wide guidelines will be created to assist MSFers when entering into innovation partnerships. 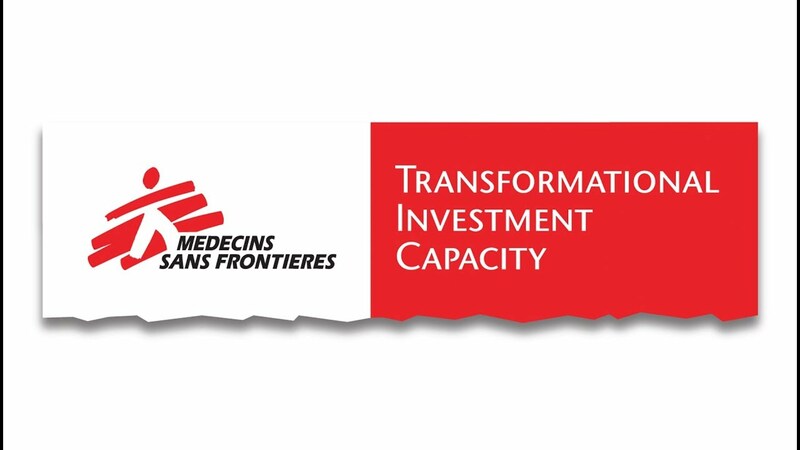 The goal of this project is to develop a plan for a new Operational Directorate in West and Central Africa to strengthen MSF’s operational capability and support a stronger associative life. Minimum Viable Product (MVP) What is the minimum product (features, scope, cost) that can be designed, tested, then fixed? User Testing How can end-users and target populations be engaged to test training, usability and adoption? Change Management Are different stakeholder groups engaged and how? How is change assessed and proactively incorporated into the plan? External Partnership How are learnings from other organizations taken in account? What experts can be drawn on? Impact Metrics How do the projects impact populations served and how are success outcomes and impact measured? Transformational Impact Will the idea advance MSF’s social mission – have a tangible impact on patients or enhance MSF’s long term capacity? Value for Money Is the investment cost in line with the value and impact proposed? Link with the Field How can target populations be accessed (i.e., those that are hard-to-reach, remote, under-resourced, unstable)? MSF Expertise Have appropriate MSF experts been consulted?